"SMOOTH SEAS DON'T MAKE SKILLFUL SAILORS"
Think of life like a deep blue sea..and we the people like Sailors. Every Sailor owns a Ship or a boat that floats over this sea.And these ships or boats are the ways we choose to run our lives. Life (the sea) is sometimes at its best behavior...quiet and smooth..there are those times in life where everything is actually going as we planned..got a good job,kids go to the best schools,business overflows and as human these are those moments we tend to relax and just enjoy life. But then there are those times..when the sea is rough,high tides hitting your boat and you loose control..Life becomes the worse place to be in..These is where majority of us loose hope..Yes! we have seen quite a number of people committing suicide,go nuts,become depressed or just loose it.. 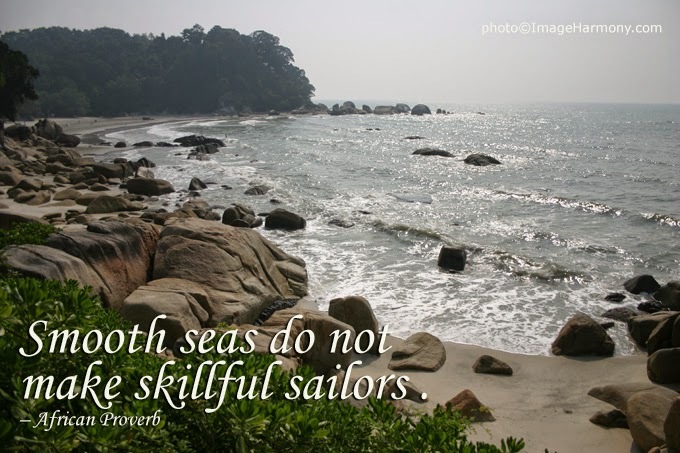 When things turn this way...Know that you are tested..Your skills as a sailor are tested. And just like a battle of warriors, Only the strongest will survive. At these times you are called to take control of your Ship or boat...Reorganize your ways of living. If you went broke probably because you are over spending unnecessarily the at these times learn to spend wisely and invest in things that will help in the future.. A skillful sailor equips its ship all the life saving particulars even when the weather is calm and safe. Be prepared, Life is not always a smooth line...it takes a lot of Zigzags to make it through. And no one can brag about their strengths until they pass through lots of setbacks and failure,and make it to their dreams and goals. Julieth Msoffe is a passionate,dynamic and inspiring writer and a blogger at JOURNEY TO SUCCESS.She believes in dreams and readiness to make them a reality as the only drive factor towards a successful future. DASHRATH MANJHI,A MAN WHO MOVED A MOUNTAIN! A FOOTBALL PLAYER WHO ENDED CIVIL WAR IN HIS COUNTRY! PARENTING STARTS FROM THE VERY FIRST DAY OF PREGNANCY.....! !